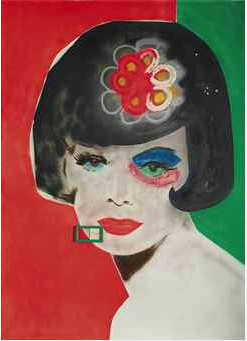 Wednesday evening’s sale of Post-War and Contemporary art at Christie’s London brought in £61.4 million against a high estimate of £52 million for fifty-eight of sixty-three lots sold (a Tom Wesselmann painting was withdrawn). The auction had a sell through rate of 92% by lot and 98% by value, and, as was the case with Sotheby’s, the evening’s total was the highest realized for a Contemporary sale at Christie’s London since the market’s peak in June 2008. The auction house reported that they had over 160 registered telephone bidders with twenty-one countries represented. 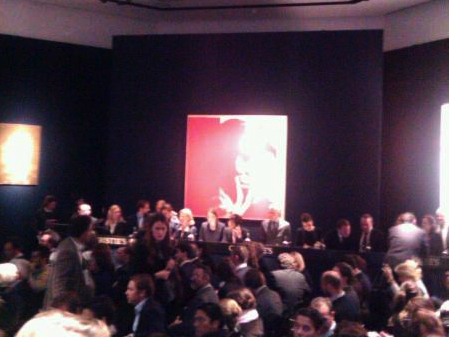 The top lot was Andy Warhol‘s red and white self portrait that sold for more than double its high presale estimate of £5 million after a bidding war between Jose Mugrabi and Larry Gagosian. Mr. Gagosian took the canvas home for £10.8 million (with fees). 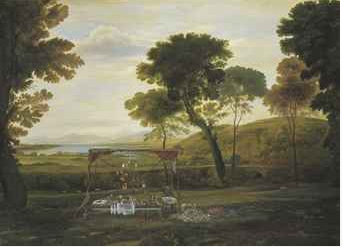 In second place was a canvas by Martial Raysse, one of the founders of the French Nouveaux Réalistes. Selling for £4.1 million, the sale not only set a record for the artist at auction but also a record for a work by a living French artist. The portrait of a bobbed young woman is one of an early and rare-to-market series of paintings the proto-Pop artist created after working primarily in sculpture and mixed media. The previous record of £1.2 million was set at Sotheby’s London in July 2008. 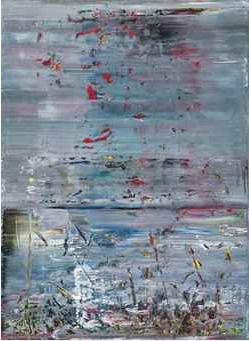 As was the case last night, bidders chased a 1990 work by Gerhard Richter. It sold for £3.2 million – more than double its high estimate of £1.5 million. The painting was last seen at auction at Christie’s in 2005 when it sold for £657,600. The next Richter lot, titled Ausschnitt (Kreutz) was one of the few works to sell below its presale estimate. 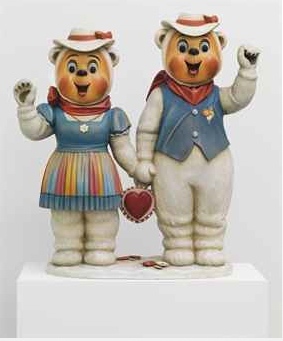 Jeff Koons‘ carved wood bear couple was among the evenings top five lots, though demand was not quite as strong as expected. The hammer came down at £2.6 million, just over the low presale estimate of £2.5 million.The 1988 work is part of Koons’ Banality series, which also includes Michael Jackson and Bubbles, an edition of three porcelain sculptures showing the late Pop star reclining with his arm around his pet chimp, Bubbles. Several other artists records were set in addition to the one set for Martial Raysse. 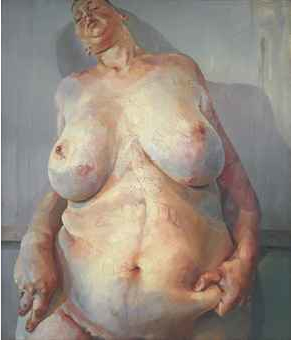 Jenny Saville’s enormous portrait of a naked, obese woman with words incised into her painted flesh, appropriately titled Branded, set the record for a work by the artist at auction when it sold for £1.5 million. Prices for Ged Quinn continue to rise, as his previous record set just a few months ago at Sotheby’s London for £187,250 was topped by a hair when his Gone to Yours sold for £193,250. Records were also set for Wade Guyton and Adriana Varejão. 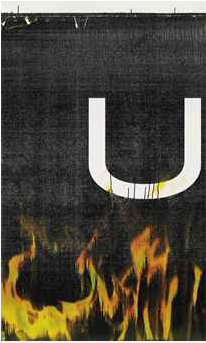 Varejão’s ode to Lucio Fontana zoomed past its high estimate of £300,000 and sold for £1.1 million. The price also represents the record for a work by a living Brazilian artist. 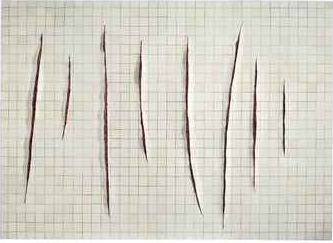 As opposed to Fontana’s clean canvas slits, Varejão’s slits reveal a bloody, gut-like interior that buyers apparently found irresistible. 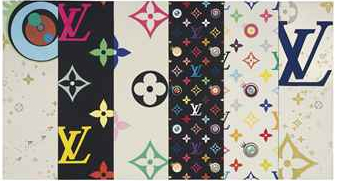 In what may be a case of branding fatigue, Takashi Murakami‘s six-panel folding screen covered in several versions of the artist’s take on the Louis Vuitton logo failed to find a buyer. Though there was deep interest in the Juan Muñoz sculptures offered at Sotheby’s last night, the artist’s painted resin and iron Albuquerque Balcony offered at Christie’s failed to find a buyer. Works by Gilbert & George, Hiroshi Sugimoto, and Bharti Kher were also bought in. 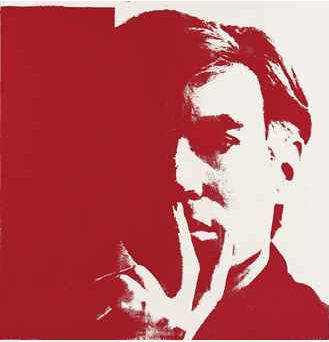 The week’s Contemporary art auctions come to an end tomorrow night after an evening sale at Phillips de Pury. Check back for results. 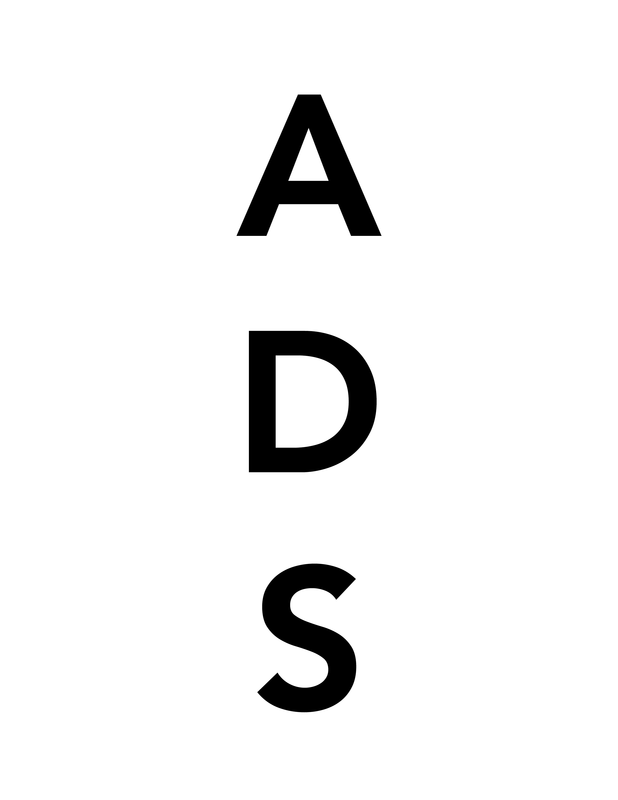 This entry was posted on Wednesday, February 16th, 2011 at 8:21 pm	and is filed under AO On Site, Art News, Auction Results. You can follow any responses to this entry through the RSS 2.0 feed. You can leave a response, or trackback from your own site.